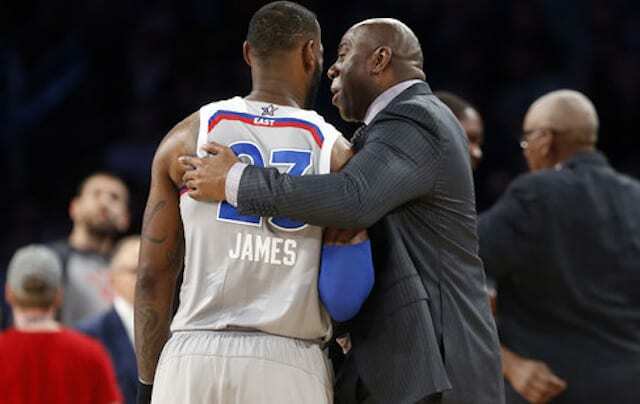 The Los Angeles Lakers have historically valued having open competition for their starting spots during training camp and this year is no different, save for the fact that LeBron James already has a starting role locked down on account of being LeBron James. 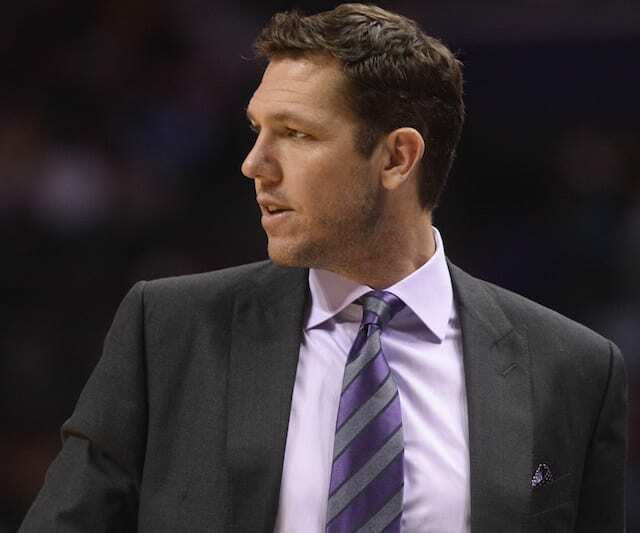 Everyone else, including Lonzo Ball, Brandon Ingram, Rajon Rondo, Kyle Kuzma, JaVale McGee and the rest of the bunch, will have to fight for their minutes. 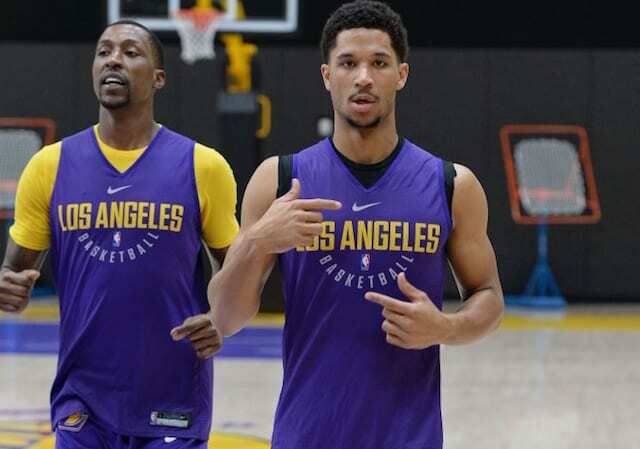 Lakers head coach Luke Walton will have to make some difficult decisions, but perhaps the most challenging race to call is the competition between Kentavious Caldwell-Pope and Josh Hart for the starting job at shooting guard. Caldwell-Pope was brought back in free agency in July, re-signing shortly after James announced his plans. The two share an agent, Rich Paul of Klutch Sports, which allowed the deals to be done quickly and essentially simultaneously. In the summer of 2017, Caldwell-Pope shockingly landed with the Lakers after the Detroit Pistons rescinded their qualifying offer and thus removing him from restricted free agency. Free to sign with any team, Caldwell-Pope jumped to the Lakers on a one-year contract. Aside from a long December due to personal trouble, Caldwell-Pope impressed, shooting 42 percent from three after the calendar changed to 2018 while also scoring in the 87th percentile in catch-and-shoot situations, which he should see even more of now that James is on board. Caldwell-Pope’s defense didn’t quite live up to his sterling reputation as a stopper, but overall his performance was just about bullet-proof and his role as a starting-caliber player appeared to be secure. That is, until Hart had something to say about it. Hart, who was selected out of Villanova with the 30th pick in the 2017 NBA Draft, was a revelation last season. Kuzma and Donovan Mitchell may be the steals of their draft class, but Hart proved that the Lakers once again found gold late in the draft. While Hart came in as a senior out of Villanova and thus was more prepared for the NBA game than most rookies, his ability to produce at a level comparable to Caldwell-Pope, a seasoned veteran, was impressive. Per Synergy stats, Hart ranked in the 84th percentile overall on the offensive end while reaching the 85th percentile as a spot up shooter. His strong frame and nose for the ball made him a rebounding threat on the defensive glass, where guards are encouraged to pitch in so that the team can get in transition faster than if a plodding big secures the rebound. While his defensive numbers, like Caldwell-Pope’s, weren’t impressive, the eye test shows how competitive Hart is on that end, even when outmatched in the post. By the end of the 2017-18 season a legitimate argument could be made for either Caldwell-Pope or Hart to be the team’s starting shooting guard. Hart put a final stamp on the season by scoring 20 points or more in four straight games, including a 30-point, five-rebound, five-assist performance to finish the season. Despite his success, Hart wasn’t satisfied, and attacked his summer workouts with something to prove. He has taken his already muscular frame and cranked it up to Greek God status, which should help him defend larger players on switches or when he’s asked to play small forward. Hart has worked on his lateral quickness to make him an even better defender and showcased his ever-improving marksmanship during the Las Vegas Summer League, which he was named MVP of after raining threes and getting to the rim seemingly at will. As good as Hart was when the Lakers’ season wrapped last April, he’s even better now, and that could spell trouble for Caldwell-Pope. Of course, at 25, Caldwell-Pope is entering the prime of his career and still has room to grow into his skill set. 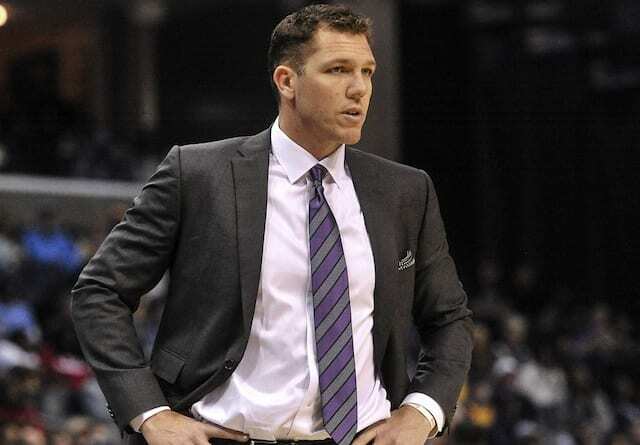 He won’t take a challenge from Hart lying down, and the Lakers are hoping that they will push each other to new heights as they compete for a starting job. It’s going to be a heck of a battle, and the winner may well be determined by which one has the best chemistry with James and whoever else is going to be in the starting five. It won’t be an easy decision for Walton, but having two solid shooting guards who both deserve a starting spot is great problem to have.